Clerk, Garner, presented the minutes of the Regular Board Meeting held October 8th, 2018. Supervisor Dawson moved to approve, as presented, seconded by Trustee Molohon; followed by a unanimous “Aye” voice vote with Trustee Parr abstaining. Community Policing Report: Deputy Lauber reported a few motor vehicle burglaries in southern part of Medina. Fire in Galena Knolls remains under investigation. Trustee Clinch inquired if previously discussed tree will be removed. Road Commissioner advised that they plan to remove. 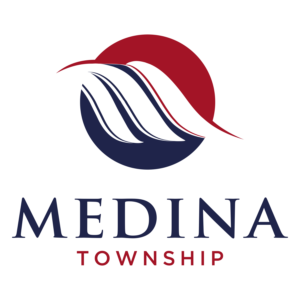 Status Dead Trees Removal at Medina Park: Supervisor Dawson advised that tree removal has been completed. Township/Road District Bills Audited: All bills of the Town and the Road District were audited and approved for payment. All bank accounts were reconciled and found to be in order. Trustee Clinch moved to pay the bills, seconded by Trustee Parr followed by a unanimous “Aye” voice vote. Adjournment: There being no further business to come before the board, Trustee Molohon moved to adjourn, seconded by Supervisor Dawson, followed by a unanimous “Aye” voice vote. The meeting adjourned at 7:15 PM.